With several prospects sitting out due to the FBI investigation, the 2018 NBA draft class could be the most uncertain group in recent memory. The Crossover's Front Office examines some of the biggest wild cards. When evidence from the FBI’s investigation into college basketball corruption broke in September, the sport appeared destined for upheaval at all levels. Assistant coaches were indicted, a wide swath of others were incriminated, and a piece of basketball's underbelly was made public knowledge forever. Since then, there’s been little news. It appears likely there will be more ramifications to follow involving the college programs implicated, and the overall impact of the investigation is still to be seen. But when it comes to the 2018 NBA draft, it’s clear that the fallout—namely, the eligibility of a number of impacted NBA prospects—has created an added level of mystery surrounding this class. At the G-League Showcase earlier this month, the sheer number of ‘wild card’ players expected to be in this draft was a popular topic of discussion. Several NBA front office members speculated that this draft could include the most uncertainty in recent memory (at least when it comes to sample size). Several of the wild–card prospects are potential first–round picks, and all will be at least a year removed from competitive play by the time draft season rolls around. You could build a damn good rotation out of all the players who’ve been held out of competition this season. There’s Mitchell Robinson, the five-star prospect and projected first-rounder who left Western Kentucky before the season and chose to train for the draft on his own rather than play ball. 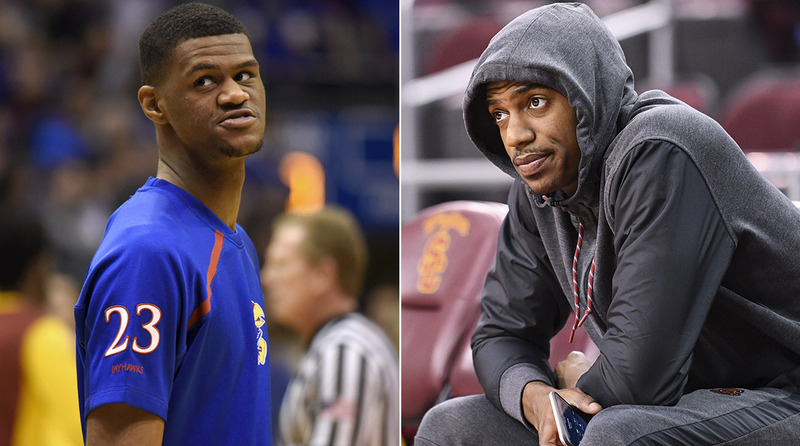 There’s USC’s De'Anthony Melton and Auburn’s duo of Austin Wiley and Danjel Purifoy, all of whom are being held out for the rest of the year as part of the FBI fallout (Melton’s was a school decision, the Auburn pair have been held out by the NCAA). Wiley and Melton are presently on the first-round fringe. Five-star recruit Brian Bowen successfully transferred from Louisville to South Carolina, but it seems unlikely he’ll have a chance to become eligible until next season. Most recently, Kansas forward Billy Preston announced Saturday that he’d be going to play professionally in Bosnia after an ongoing struggle with the school to be internally cleared. Preston, another five-star recruit, crashed his car before the season started, which led to an investigation into who exactly purchased the vehicle. Preston opted to jump ship, get back on the court and plans to enter the draft, although he has a reputation among scouts as a chucker and his chances of actually being picked are up in the air. When these players choose to enter the draft, most will do so with very little on their résumé. Logic suggests all will at least test the waters, and some players risk more by going back (to potential ineligibility) than they do by going pro. Players like Melton and Wiley were freshman standouts for their teams a year ago, but have no guarantees of returning to college hoops. They’ll face the challenge of showing up for team workouts in shape and staying sharp enough to prove their mettle. As ESPN recently reported, all of these guys are ineligible to play in the G-League this season, simply because they were at one point enrolled in college during the current academic calendar. While it seems backward that the NBA can’t provide a platform for legitimate prospects to gain experience in the interim, there’s a whole can of worms regarding players leaving college early that the league seems hesitant to open up. And so all of us, scouts included, will have to wait and see. The 2018 class could get even crazier: consider prep schoolers Anfernee Simons and Matur Maker, both of whom the Front Office scouted recently. Both will be a year removed from high school graduation and old enough to bypass college entirely and enter the 2018 draft, and the NBA has begun scouting them extensively. Simons is considered a potential first-rounder, and Maker (brother of Bucks center Thon) is also drawing buzz. Gathering intel on all of these situations and assessing the players themselves will be an added pain for teams. It was already tough enough for fringe players to earn draft combine invites, and you imagine some of these missing persons could wind up with priority due to widespread interest. Some of these prospects could become bargains at their draft slots. Nobody’s life will be made any easier by having to evaluate them. 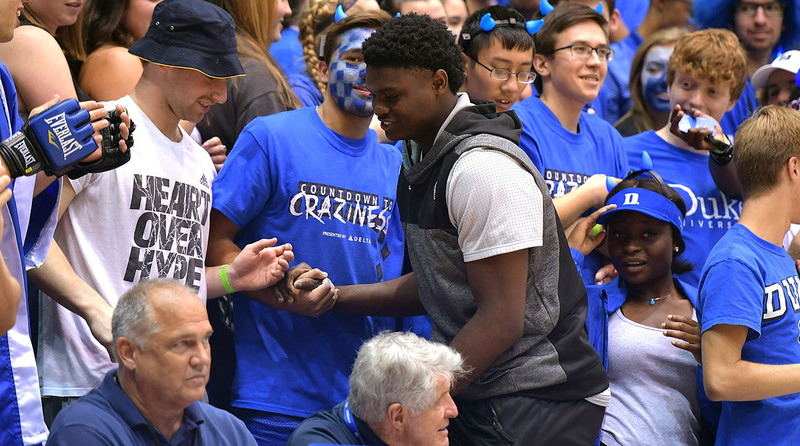 In case you missed it (you probably didn’t miss it), Zion Williamson committed to Duke on Saturday, giving the Blue Devils the consensus No. 1, 2 and 3 recruits in some order (the other two being R.J. Barrett and Cam Reddish). This means there will be three potential top-five picks on one team. From a scouting standpoint, it will make some things easier (like seeing them all play) and others potentially more difficult (such as trying to project them into NBA roles). Also in the mix is Tre Jones, Tyus’s younger brother whom many consider the top point guard in the class. Now, it’s worth noting that not all recruiting classes are created equal, and many of the people in the know who I spoke with last week at the HoopHall Classic (where we scouted Williamson, Barrett and Reddish individually) regard 2018 as a weaker group relative to past years. Reddish is the best long-term prospect, Barrett is the most polished, and Williamson is the best athlete. But regardless of how well they fare in-season amid massive expectations, Duke’s collection of talent will be fun to track closely. It’s unclear which players will be back, but it seems fair at this point to reason the entire starting five is headed to the draft (Gary Trent Jr. included). The player most affected from a situational perspective is Williamson, who has come up playing as a walking mismatch with the ball in his hands. Though he’s only 6’7” (with a 7’0” listed wingspan), at this point he’s the best bet to slide down into more of a frontcourt role that will mirror his eventual place in the NBA. Williamson is a freakish athlete and intelligent player who should be up for the challenge. He’ll still be able to pop out and bully defenders on his way to the basket, but if he adapts to a role centered around running the baseline and doing damage as a screener, it’ll only benefit him. As long as the other guys provide enough spacing for it all to work, Duke could be one of the most explosive small-ball college teams we’ve ever seen. If you’re still sad we probably won’t ever see Michael Porter Jr. play a meaningful college basketball game, you aren’t alone. 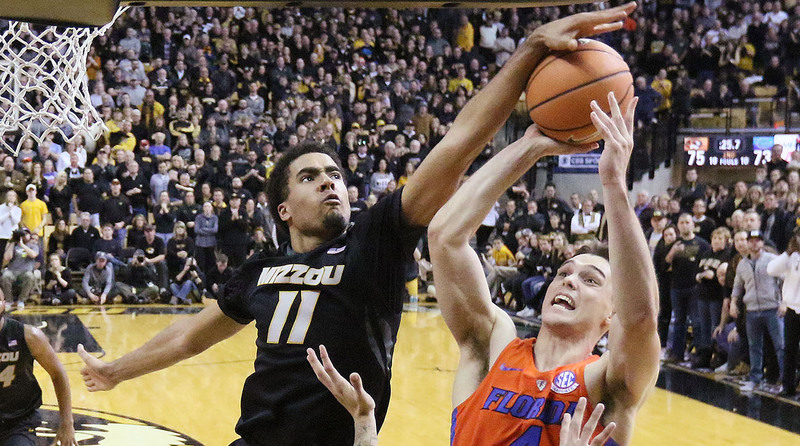 But in his absence, another Missouri forward has blossomed and put the NBA on notice—his younger brother Jontay. A 6’11” big, Porter is one of the youngest players in college basketball (he turns 19 in November) and made a choice to reclassify late in the process in order to team up with his more-heralded brother. With Michael recovering from back surgery, Jontay has put up respectable averages of 8.2 points, 6.7 rebounds, 2.1 assists and 2.1 blocks (though he’s had some ups and downs statistically). His skill set makes a whole lot of sense when envisioned in a high ball-screening role. While Porter has work to do developing his body, his wide, boxy frame should make him an effective screen-setter and helps him hold position in the paint. He won’t be someone who ever lives above the rim, but possesses terrific feet and hands that help him rebound and make plays. Porter has good vision and is willing to make tough cross-court passes, and his ability to step out and comfortably shoot threes helps open things up. He has an uncanny ability at attacking closeouts and putting the ball on the floor for a couple of dribbles, and has a deceptive quickness to his floor game. Offensively, he could become sort of an Al Horford Lite. On defense, he’s capable of holding position and has shown some timing playing on the weak-side as a rim protector. Porter’s upside is tied to how much stronger he can get, and how much consistency he can gain scoring the ball. He’s not a go-to-guy, but could be an outstanding cog. His lack of elite athleticism is notable, but given his outstanding feel for the game and relative youth, it’s easy to see him getting a shot in the NBA. He can come back to school and continue growing if he wants, but if he tests, things will get interesting. Alas, the run of Porters at Mizzou might be even shorter than we expected a few months ago. • Kenrich Williams, TCU: Williams has been an unheralded driving force behind the Horned Frogs’ success this season. Averaging 14.7 points, 9.4 rebounds and 3.8 assists, the senior forward is deserving of our attention as a potential second-round selection who should be a relatively quick study at the next level. He’s been a stalwart his entire career at TCU, logging heavy minutes and contributing as a rebounder, passer and shooter (43.5% from deep is a career-best). And per Synergy, his efficiency in spot-ups (93rd percentile), cuts (88th) and as a pick-and-roll ballhandler (91st) have all been elite. At 6’7”, he’s an intelligent defender and forces steals at a good clip. There are two main factors working against him in the draft: he’s already 23, and he has a history of knee injuries, though he’s two seasons removed from microfracture surgery. Williams’ advanced feel and skill set makes him an ideal versatile piece for a positionless scheme. •​ Keita Bates-Diop, Ohio State: The Front Office was in attendance on Saturday as Bates-Diop and the Buckeyes rolled over Minnesota at Madison Square Garden (sparsely attended, as you can imagine). With Ohio State now 8–0 in the Big Ten, Bates-Diop is the frontrunner for conference player of the year (19.7 points, 8.9 rebounds) and has rebounded nicely from the stress fracture that ended his 2017 season early. If his production keeps up, he’ll likely play his way into the draft. However, there’s some reason to be skeptical about how his game will translate at the next level: right now he’s not a creative enough ball-handler to play the three, and not quite big or physical enough to handle the four in the NBA. Average athleticism may make things difficult. He’s done a lot of damage on mid-post clearouts, but won’t have those types of plays run for him in the NBA. Bates-Diop’s key long-term skill will be his three-point shooting (currently at 37.6% and going through some regression). But as of now, he’s doing enough to be in the second-round conversation. •​ Hayden Dalton, Wyoming: A somewhat anonymous prospect, Dalton has shot the ball extremely well this season for the Cowboys, performing in the 95th percentile among spot-up scorers and showing some inside-out game. He’s been getting to the foul line at a good rate and having success thanks to his instincts and quick feet. Dalton is far from contributing at an NBA-quality level, but does have some interesting traits. Despite his skinny frame, he’s also been a productive, if sometimes inconsistent rebounder (8.4 per game). His ability to handle and pass the ball (19.6% assist rate) and a quick release as a catch-and-shoot threat hold some intrigue. Defense will likely be a challenge, and he’ll need to add muscle to have a chance as a specialist. But with his unique profile and productive play, Dalton has done enough to warrant a little attention. There are a couple things to note in brief about Trae Young’s ridiculous 48-point game on Saturday. It’s an interesting litmus test for how you feel about Young, because if you love him you’ll see more good than bad and if you’re not sold you’ll harp on his seven turnovers, 39 shots and so-so shot selection. The truth is probably somewhere in the middle. Can he make 35-footers and off-balance floaters? Yes. Is it important for his team right now that he does it? Yes. Will it get easier for him to do those things at the next level? No. Young’s a fascinating player, and we’re looking forward to Oklahoma’s upcoming Saturday duel against Alabama and fellow highly-rated guard Collin Sexton. Shameless reminder to send any and all draft-related questions to SIFrontOffice@gmail.com. You may or may not end up in our monthly mailbag. Just like the draft, there are no guarantees.